Julia Smith is a nurse from Stannington in Sheffield, but she's taken a career break to volunteer on board a hospital ship in Africa with the charity "Mercy Ships". 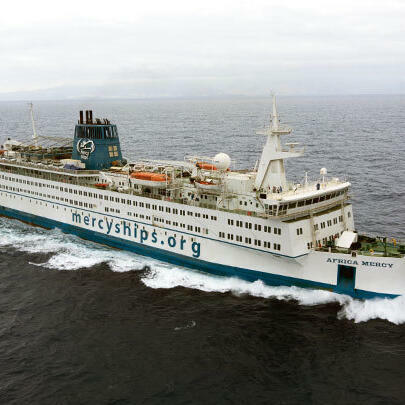 Julia Smith swapped the Northern General for the "Africa Mercy" back in July. She won't return home until June next year. Julia has been sharing her Journey of Faith story with Sarah while she's out there, via the wonders of Skype. So why did she want to do this? As broadcast on BBC Radio Sheffield's Early Sunday Breakfast Show, Sunday 24th September 2017.